The paver job was completed beyond my expectations. Freddie and his crew did a fantastic job and best of all they were very easy to work with. As the job evolved to its final masterpiece, it was a joy to behold. Thank you so much for the incredible work on our yard. My husband and I love every single detail and are looking forward to watching everything grow and fill in over the coming years. You were a pleasure to work with and I will be recommending you to everyone I know! Thank you David and everyone at Terra-Sol Landscaping for transforming our backyard into a beautiful landscape! Special thanks to Fred, Dan and Jamie for all their hard-work especially during the cold weather! I am very happy with the work. I have to look and admire it several times a day! Thank you to you and your team for a job well done. Our yard looks amazing! It was a delight working with you over the last three months. You always did an excellent job letting us know what to expect and conveying questions & information to Dave. Thanks so much for your important contributions to the team! Your crew did such a good job that I believe the problem is totally solved…with today’s heavier rain I keep checking my basement and not a drop! Thank you for your quick response to the problem I had. 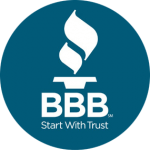 I plan on doing a follow-up entry on Angie’s list because I feel everyone should know how you’ve helped me. I sincerely appreciate it. Dave is a great designer who listens to your needs and brings his experience to round out the solution. The crew is punctual, efficient, professional and experienced – and most importantly, great craftsmen. Besides being great at what they do, I felt that the crew was empowered to do what needed to be done to ensure customer satisfaction. There is always a level of unease when working with a new provider – do they understand what you are wanting to achieve, will they show up, are they responsive? With Dave and the crew, it was top notch, professional and I am 100% satisfied. 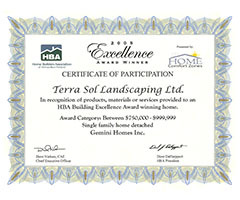 Terra Sol is a first rate company. Everyone that works for the company is excellent and goes the extra mile to provide first class service. When I bought my house the yard and all the trees and bushes had been neglected for years. 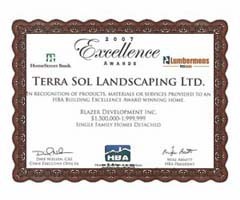 Terra Sol came in and completely transformed the whole property quickly and for a very reasonable amount given how extensive the job was. 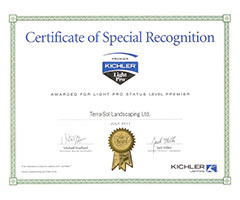 I totally and unhesitatingly recommend them for any of your landscaping or hard scraping needs. They are a first class operation. I cannot thank you and your crew enought for all your hard work and craftsmanship. On time and under budget! What a concept. No wonder you have been in business so long. Everyone who has visited has been blown away with the water feature, the creek, and patio. I definitely chose the right company to entrust our home to. Dave Zimmerman did a good job, and even more. He pointed out that the tree and plant spacing was too close, so we spread them apart. Then he was willing to plant the leftovers at another site for us without extra cost. He’s at the top of my list for honest landscapers. And maybe that’s why we use Terra-Sol Landscaping. 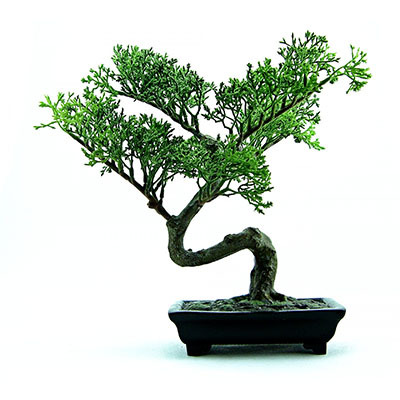 Zen, City of Tigard We enjoy working with Dave and his staff and we will continue to do so at every opportunity. Thank you so much for the work you and your crew did. The yard looks great and I have received several compliments from my neighbors. Doug Rice Thank you for the beautiful fountain you have created for us. It is a joy to watch it everyday from the house and close to it. It is more than what we expected and we’ll enjoy it as long as we live in this house. It will be even more difficult to leave this property! We are really pleased with the work you did. It is really beautiful especially the stairs…Thank you!! Thank you for a job extremely well-done, we have already given your phone number to a designer friend who will have a potential customer call you! Thank you very much for all the hard work in making our yard look so good! Thank you very much for such a great job on my front lawn and taking the time to go through the Rainbird Irrigation programming with me. I am very pleased at the professionalism, helpful attitude of your crew and the “price to suit a budget” as promised. I am so happy with the way my house is now looking; only wish I had done it sooner. As always, I enjoyed talking with you. I appreciate your help. Once again, you gave me exactly what I needed. 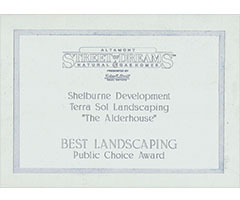 Just wanted to tell you how much we enjoy our backyard, thanks to the great landscape design you gave us 5 years ago. It has grown in so nicely and it requires little maintenance and that is what I wanted. It was a challenging space and you turned it into a beautiful, tranquil garden for us. Thanks again. Thanks for all your cooperation – we love what you have done! Will Thanks for attending to the replacement of the two trees at our home. They look great and we’re satisfied. You run an excellent operation! Thank you for transforming my front yard from the ugliest on the block to the nicest! We are very pleased with the results. If you need a testimonial let me know! thanks again – we’ll call you when we’re ready to take on the back yard! 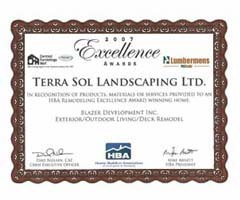 We purchased a home where Terra-Sol Landscaping did the original landscaping and needed help in fixing a problem with our sprinkler system. I talked to Dave Zimmerman regarding getting information on acquiring parts to repair a sprinkler valve. Mr. Zimmerman was more than helpful. He sent someone to check out the system and make the necessary repairs. This was very unexpected and appreciated. It is certainly a reflection of the high quality people you select. 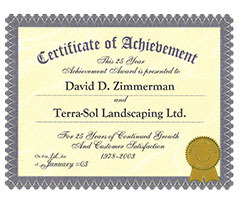 Dave, Thank you so much for all your help – you were great to work with and we appreciate your professionalism. We look forward to referring you to friends! Dave, Thanks so much for all the great work you and your crew did on our garden, and especially for going the extra mile to make sure our pond is perfect. We love it all and we rave about you every chance we get. Hello, I wanted to send you an e-mail thanking you and Dan for the great work that you did on our teapot water feature. Dan was such a great and friendly person and did such a wonderful job in creating our water feature. I couldn’t be happier with it! It is exactly what I was looking for. Thanks again. We are VERY pleased with your work, and your problem solving with an area that has bugged me for 10 years. The cobblestone-edged path is inviting and charming. Just what I wanted and you kept within my small budget. Lots of good looks for much less money than a paver-path. Greg and Dan were fun to work with, and worked hard. Good listeners, too! I will recommend your company and remember you for future work. 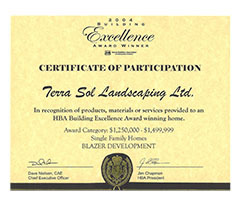 Terra-Sol Landscaping has received many awards over the years and here are just a few of them…..